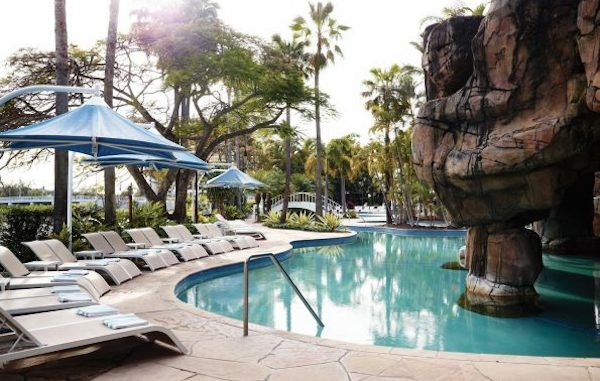 When it comes to redeeming points for stays during peak travel periods that result in high hotel prices, I turn to my Marriott Rewards balance. 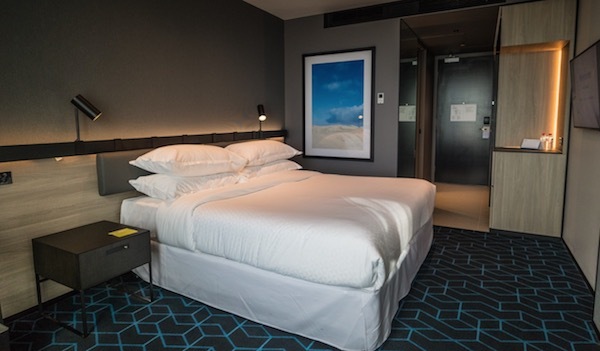 In this instance, I had a one-night stay in January 2017 during the Australian Open tennis (although this overview covers a couple of different room types that you can redeem points for). 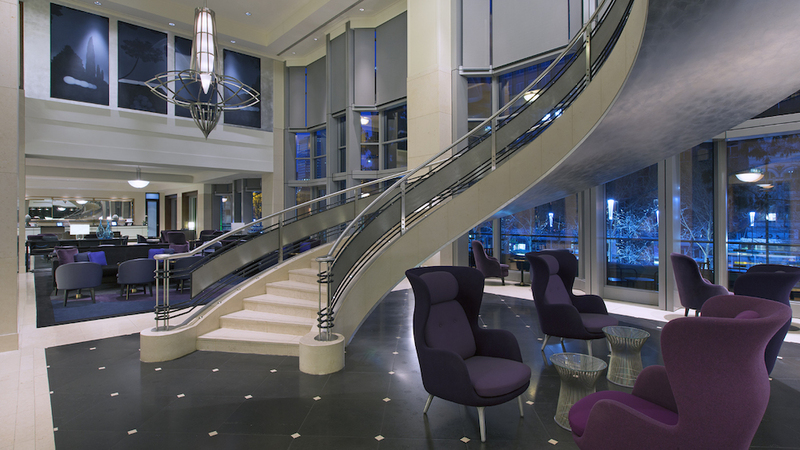 The Westin isn’t a particularly noteworthy hotel but is a useful option for those loyal to Marriott. 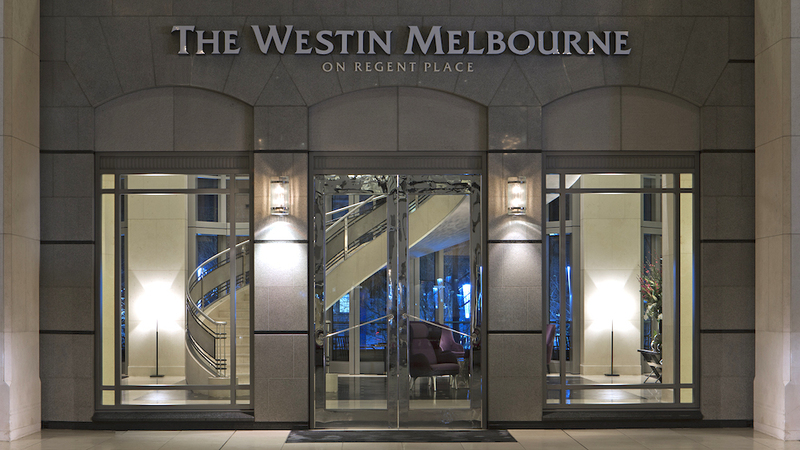 The Westin is ranked #17 out of 158 hotels in Melbourne on TripAdvisor, which is fairly high considering the quality of hotels around the city – but does indicate there are also better hotels out there, and I’d agree. 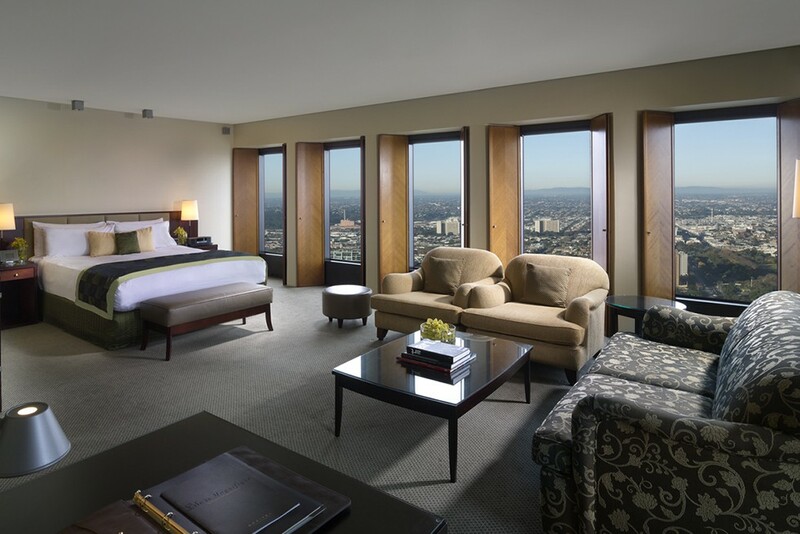 Alternatively, outside of peak travel periods, you can usually pick up a room for around $250-$300 per night. 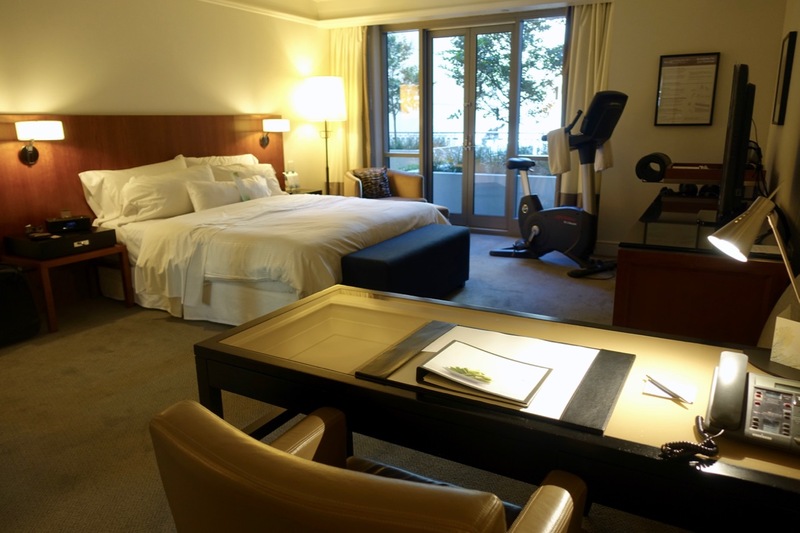 Nightly rates for this particular stay were in excess of $600 per night, so I chose to redeem 16,000 Starpoints for a WestinWORKOUT room – more on this later. 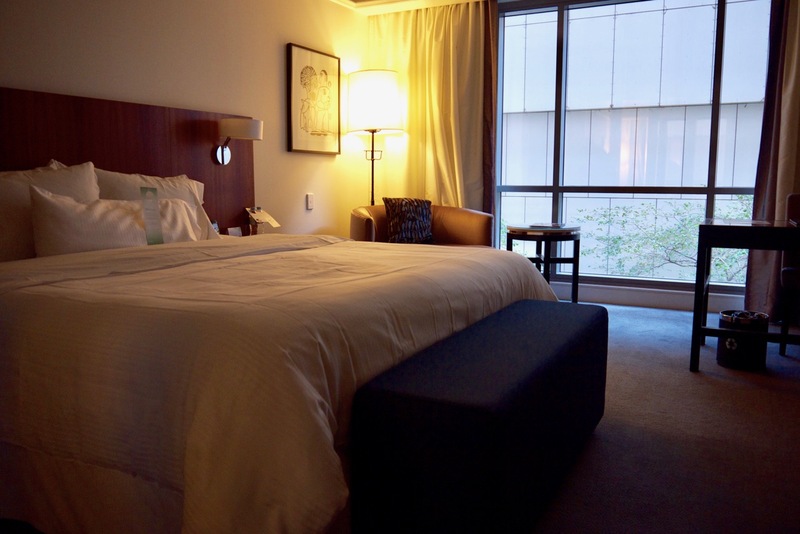 It was the last room type left! 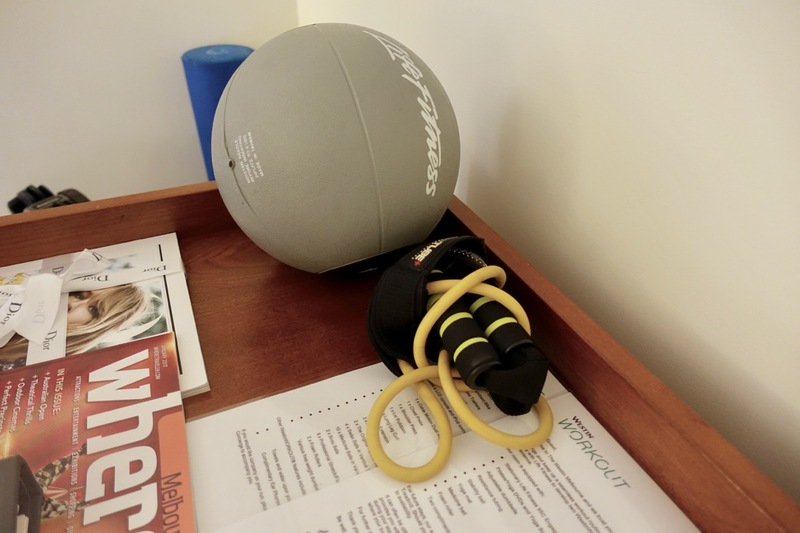 This yielded a redemption value of 3.75 cents per Starpoint, which is decent. 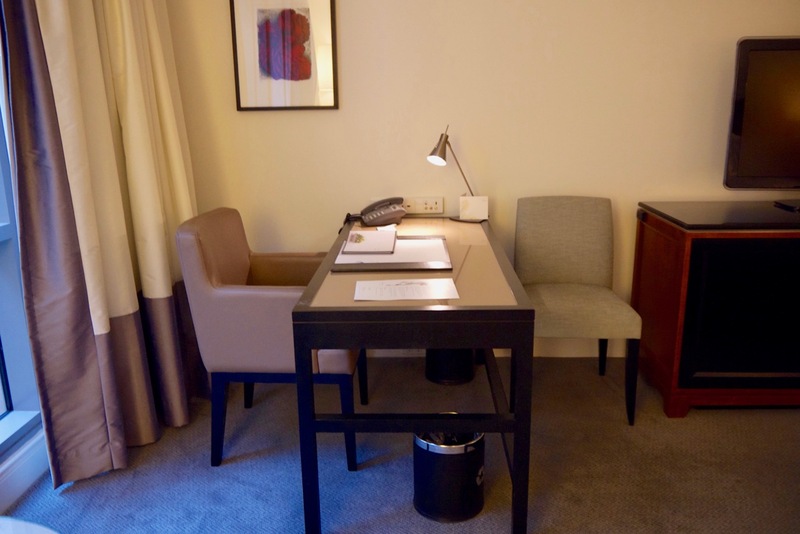 If a cheaper 12,000-point standard room had been available, I would have gone for that instead. 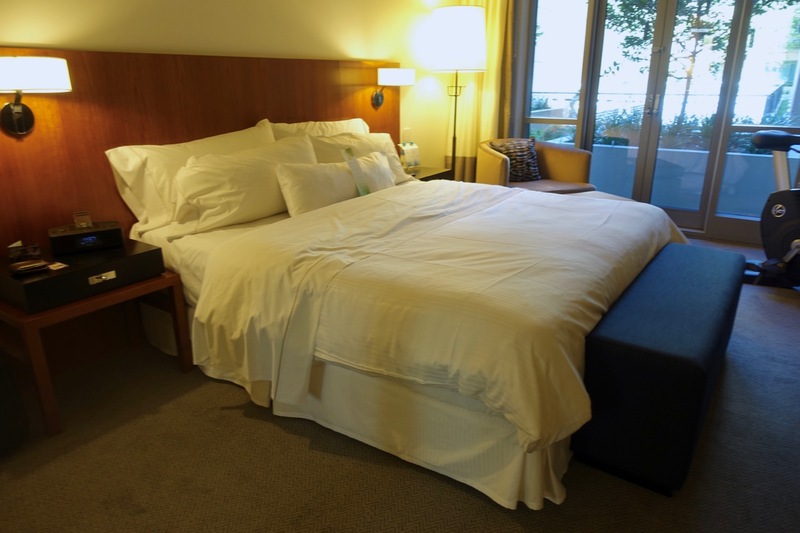 I have stayed in a Westin King Room on previous stays but I personally wouldn’t redeem my hard-earned points for this room unless the flexible nightly rate was heading north of $400. 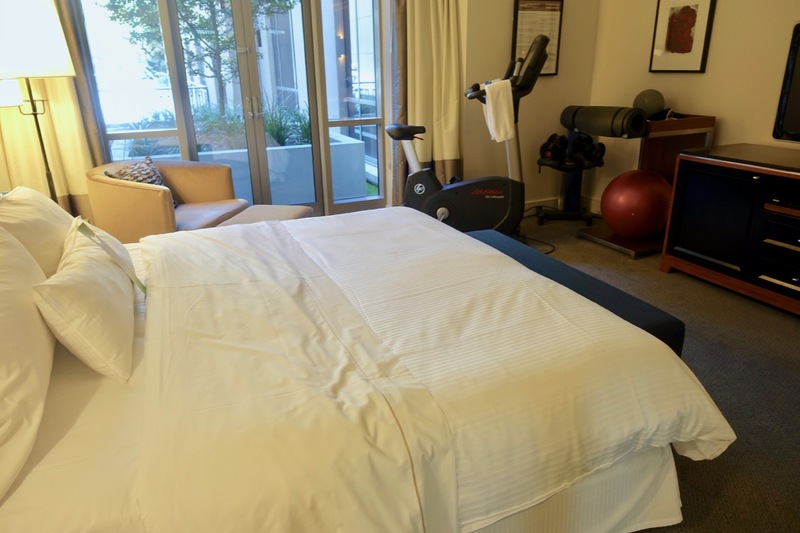 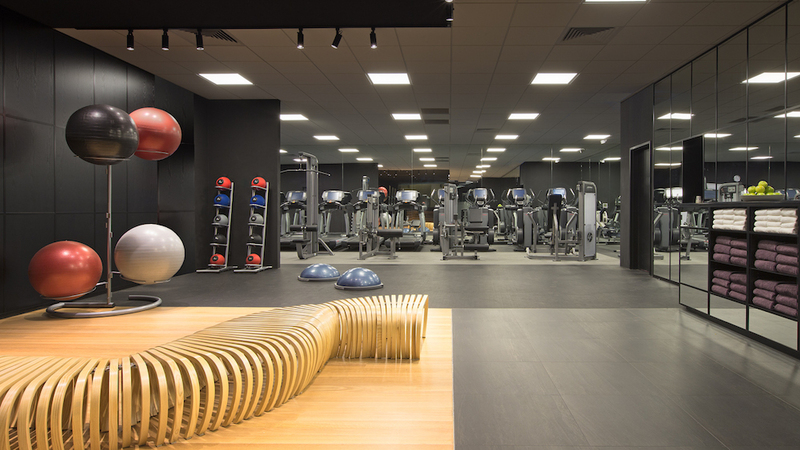 The WestinWORKOUT room has more space – it’s essentially a wheelchair-accessible room that has been converted to the Workout spec. 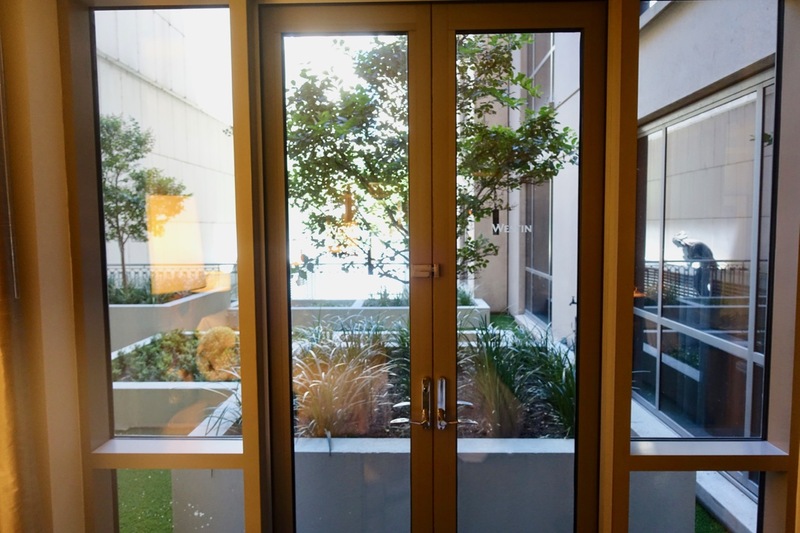 I don’t know if they also use these rooms for guests needing an accessible room too. 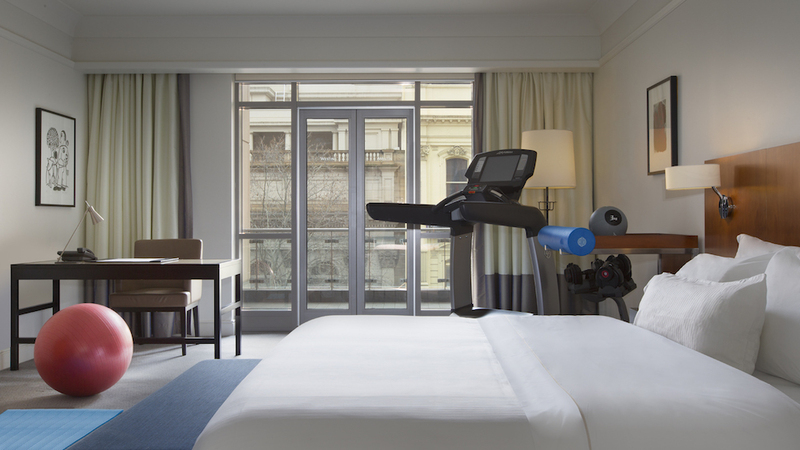 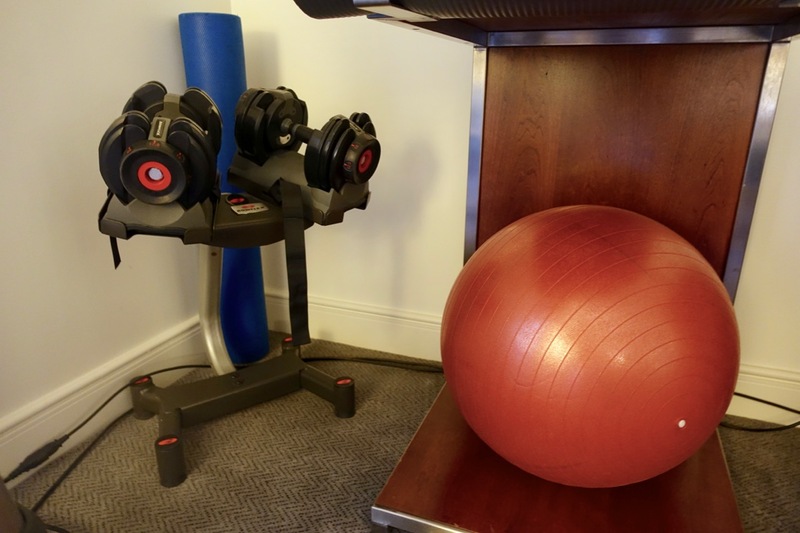 The room comes with a small range of workout equipment, which takes up that extra space, and you’ll pay for the privilege. 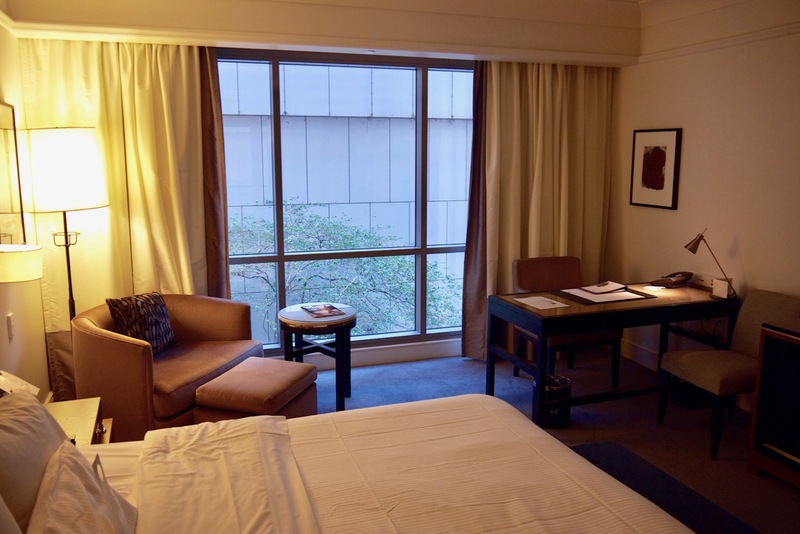 I booked this room only because it was the last room type left for the night I wanted to stay. 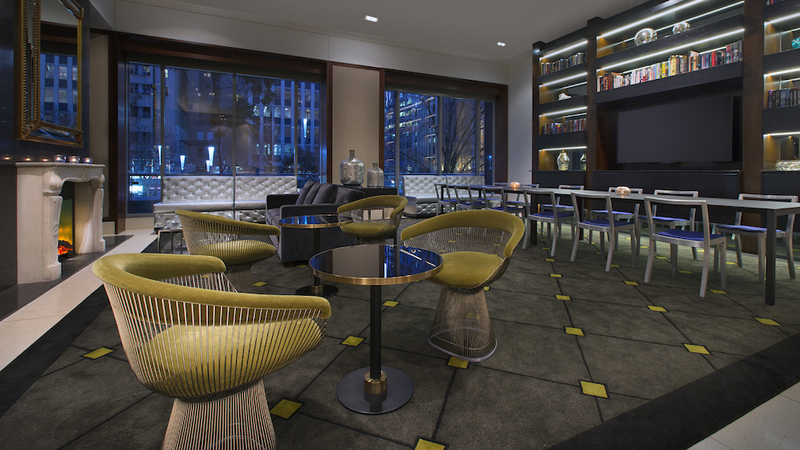 Most of the action in the Westin centres around the lobby and lobby bar which has an easily accessible feel to just walk in, sit and hang out, if that’s your thing. 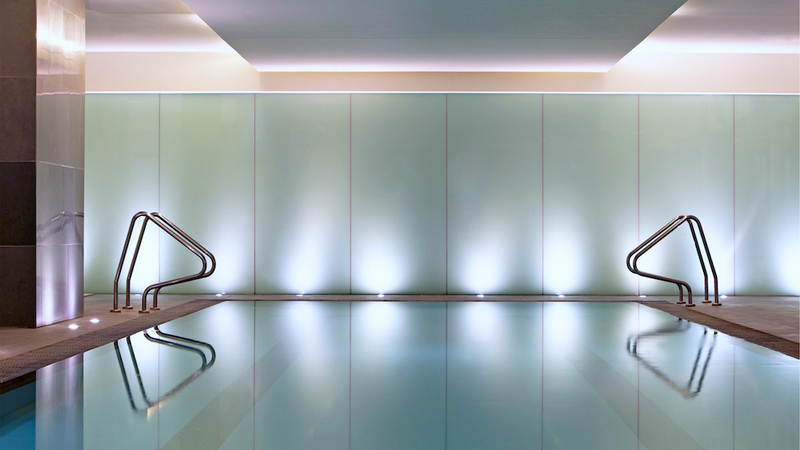 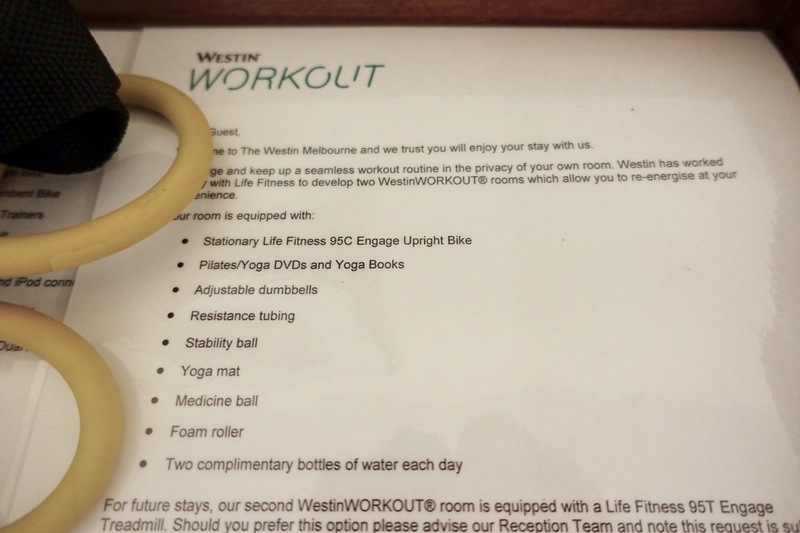 The hotel also has the usual array of pool, gym and restaurants on hand, but given Melbourne’s CBD is way more appealing, I haven’t ever spent much time within the confines of the Westin. 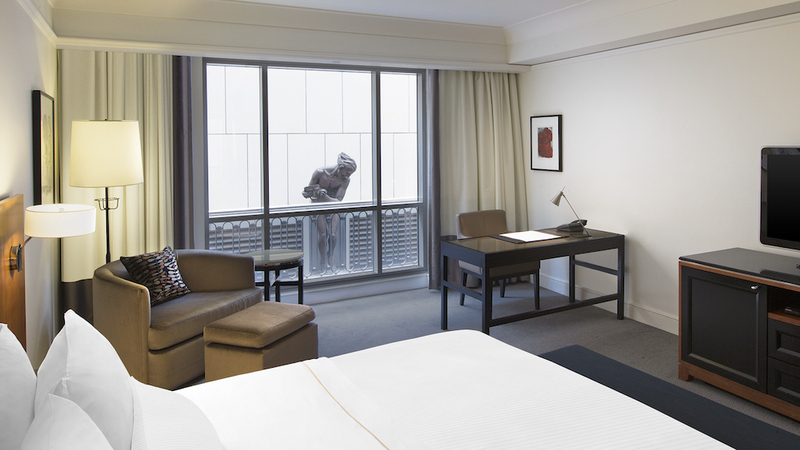 The Westin Melbourne is located right in Melbourne’s CBD, about a five-minute walk from Federation Square/Flinders Street Station. 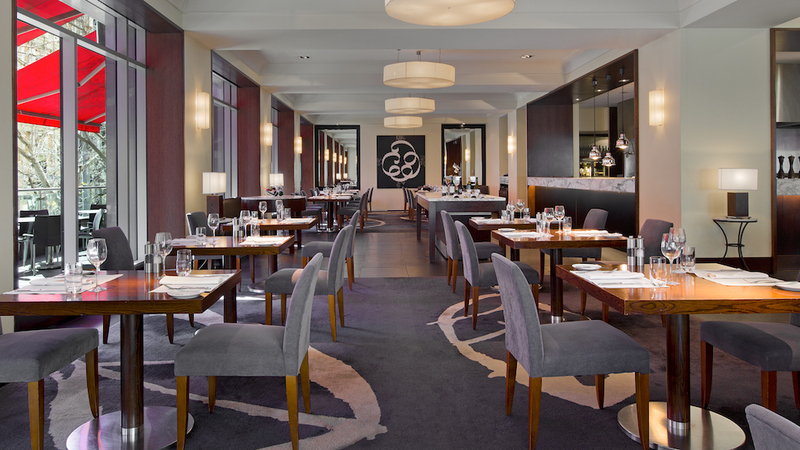 You are in the thick of the action when it comes to restaurants and access to the city – although you are at the Eastern end so bear that in mind if you have work commitments elsewhere. 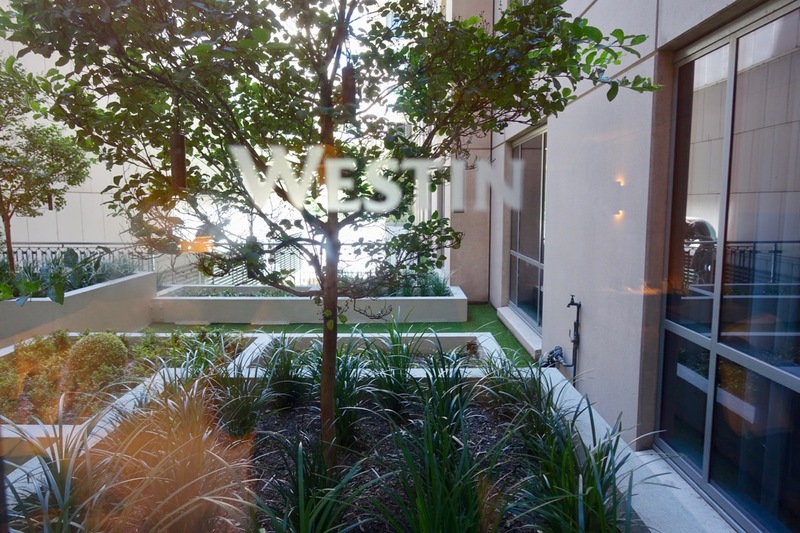 The Westin is in need of some love – there’s nothing exciting about it, and while the rooms are clean and fairly spacious, the staff are friendly and there’s nothing particularly wrong with the place, there’s also nothing to get you coming back here when Melbourne’s hotel scene is pretty competitive. 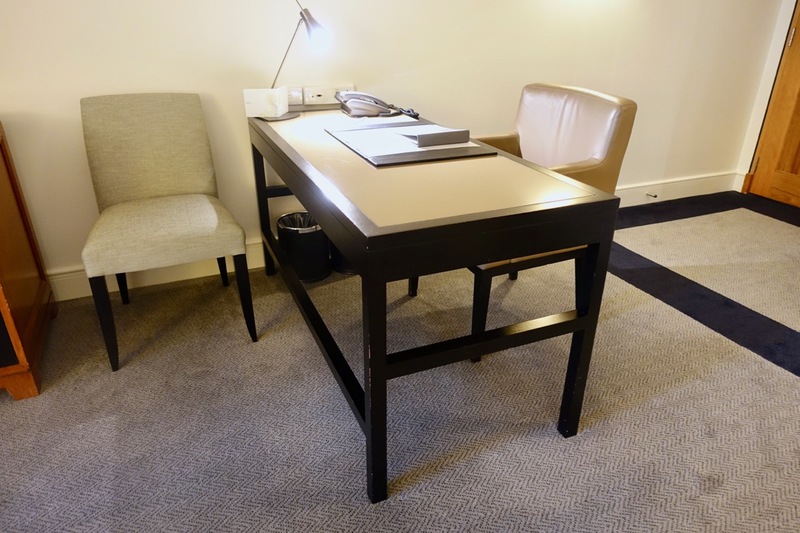 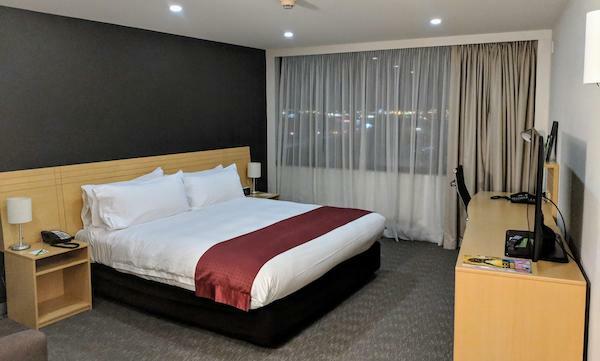 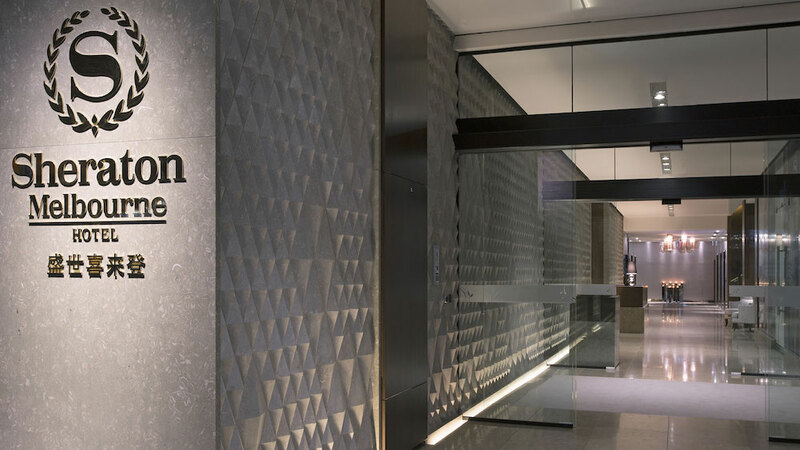 I personally prefer the Sheraton Melbourne as my go to Marriott hotel in the city – it’s newer, although much smaller both in terms of the rooms and public spaces. 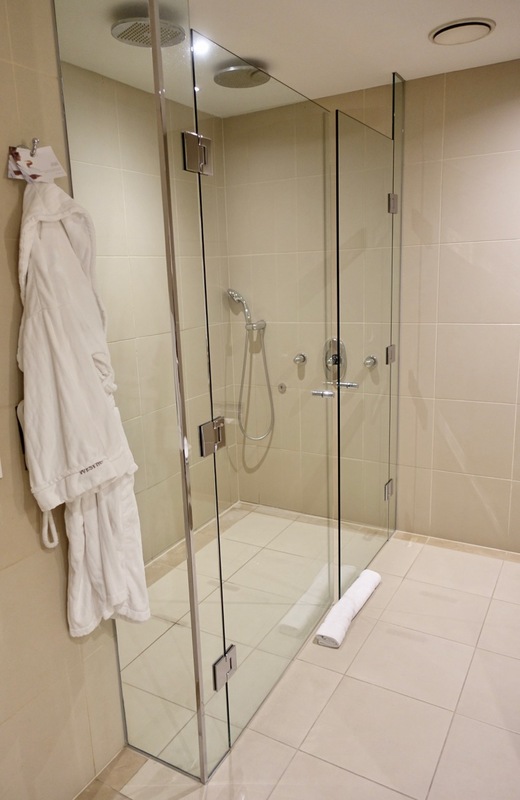 However given I usually don’t plan to spend too much time in the hotel when in Melbourne, I find I prefer it. 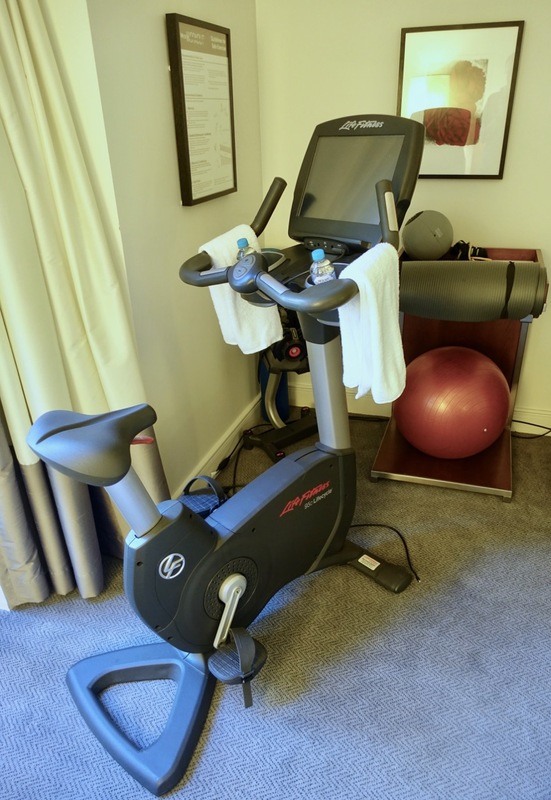 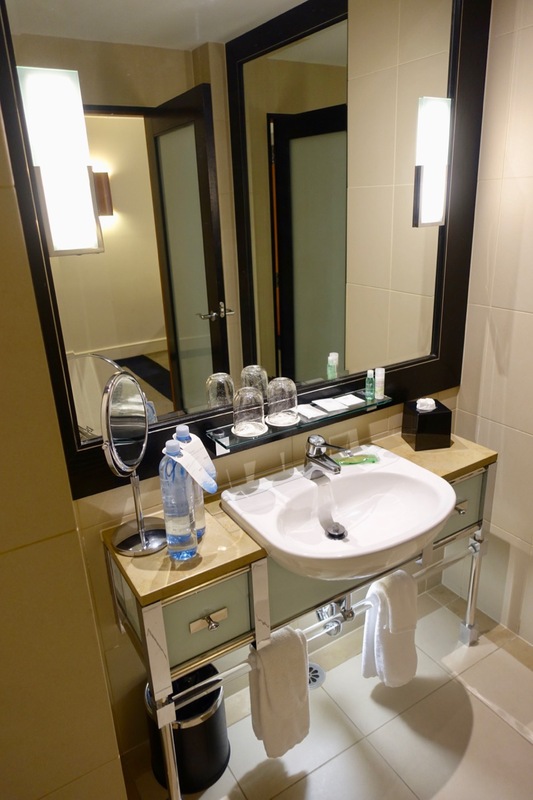 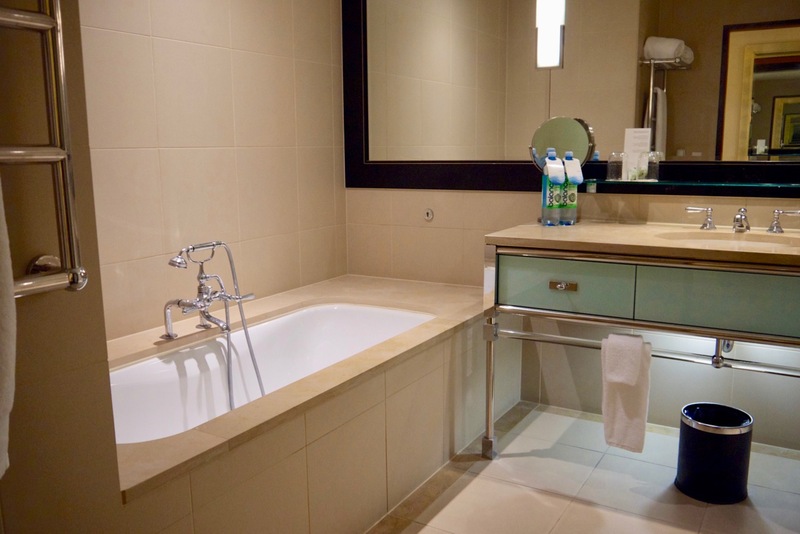 Supplementary images courtesy of The Westin Melbourne.